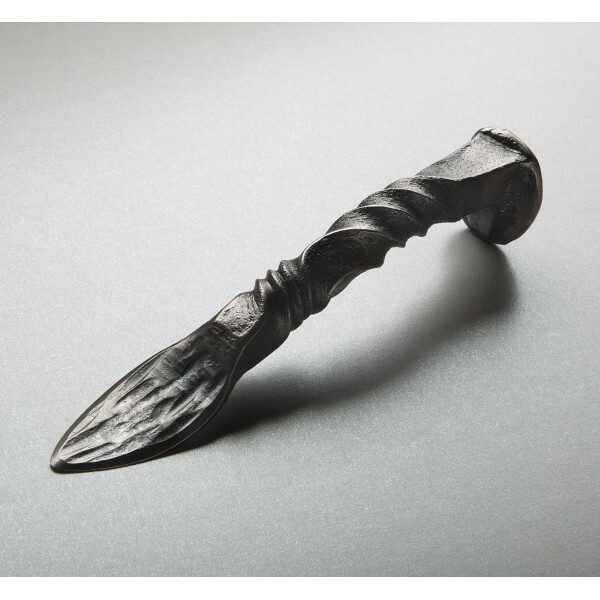 Made from hand-forged and twisted railroad spikes and measuring around 7.5" long with a 2.5" blade, the Mother Shucker Oyster Knife from Carolina Shuckers is a sturdy, solid tool. 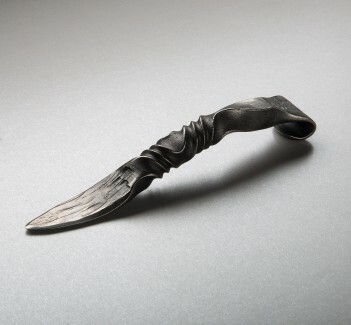 The blade, grooved along the top, grips each oyster on the way out. The high-carbon steel reclaimed spike gives the Mother Shucker its beautiful yet ominous look. Each shucker is a one-of-a-kind, shaped by hand in North Carolina. The perfect tool for any oyster feast. 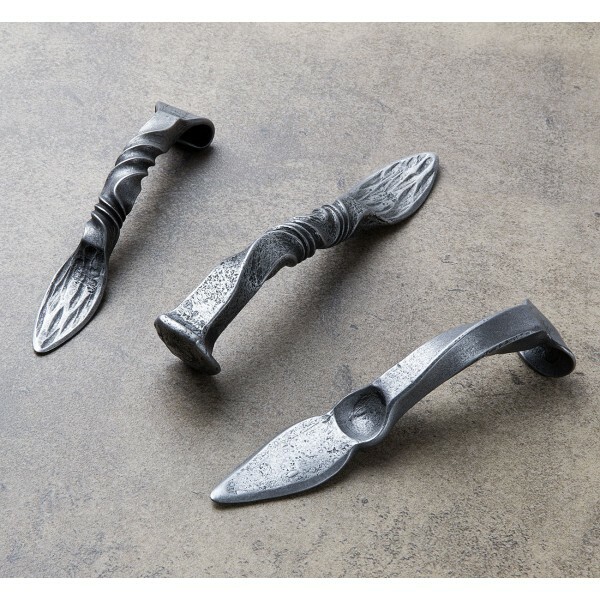 Kirk Davis and Michael Waller have combined their passions for art, food, and the rich heritage of coastal North Carolina to create custom, hand-forged oyster knives. 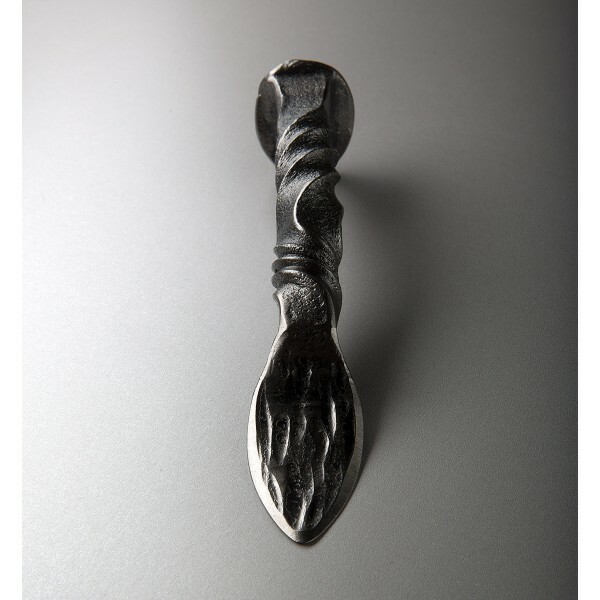 As sculptors with impressive portfolios of work, they use salvaged and recycled materials whenever possible and hand-twist each tool one at a time so that no two shuckers are alike. Kirk and Michael's love for the humble oyster is more than evident in their work. Keep your Mother Shucker in good condition by washing, drying, and oiling after each use. This knife is fantastic! It is so ergonomically fitting I walked around with it in my hand all day yesterday. it alarmed a few people. I’m sure some in my circle will be coming to you for this mother shucker, and I will keep an eye out myself for new stuff. Thanks for the call and outstanding customer service.